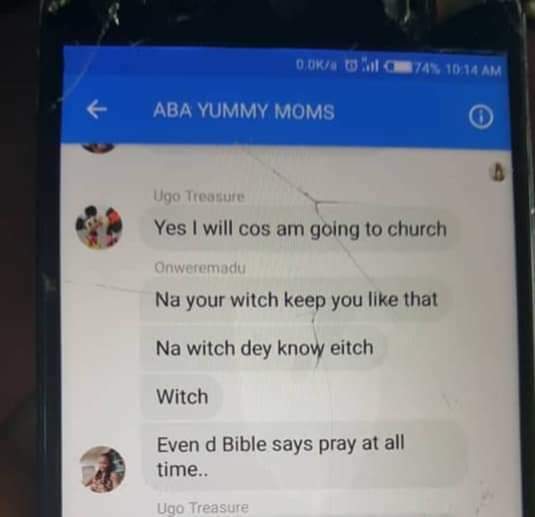 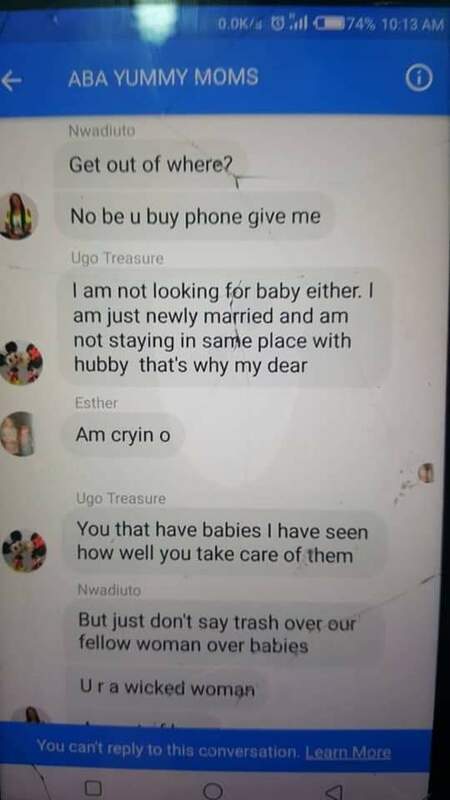 A woman distinguished as Ijeoma has shared screen captures of the discussion between two women on a Facebook gathering. 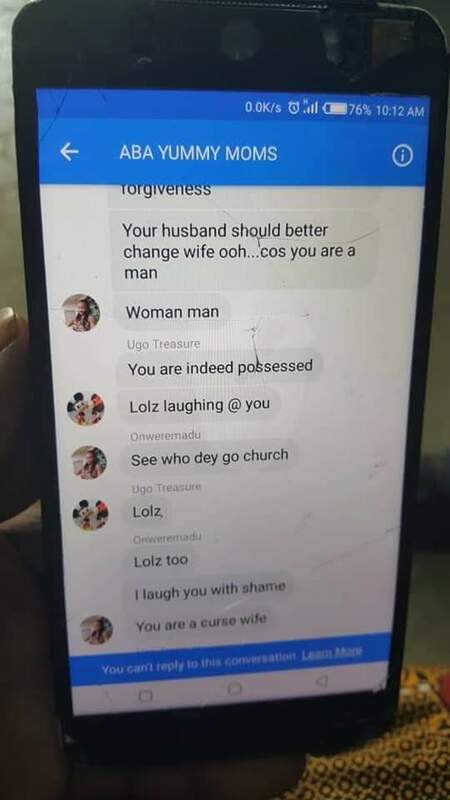 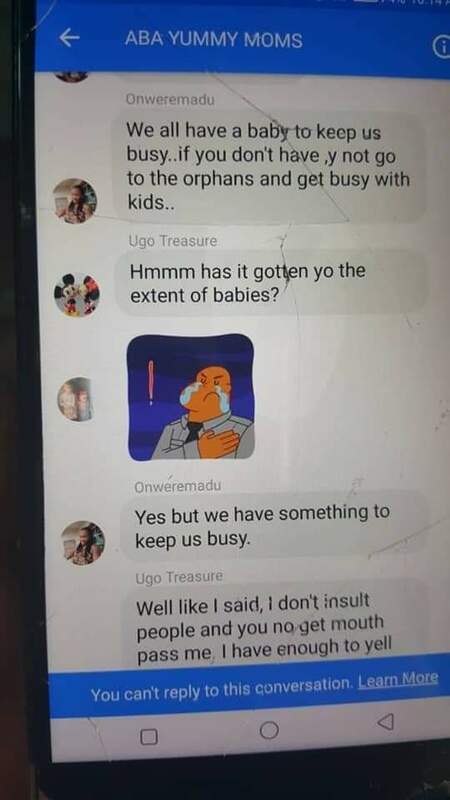 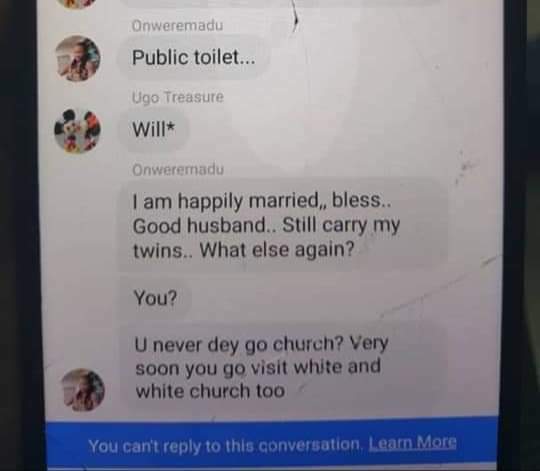 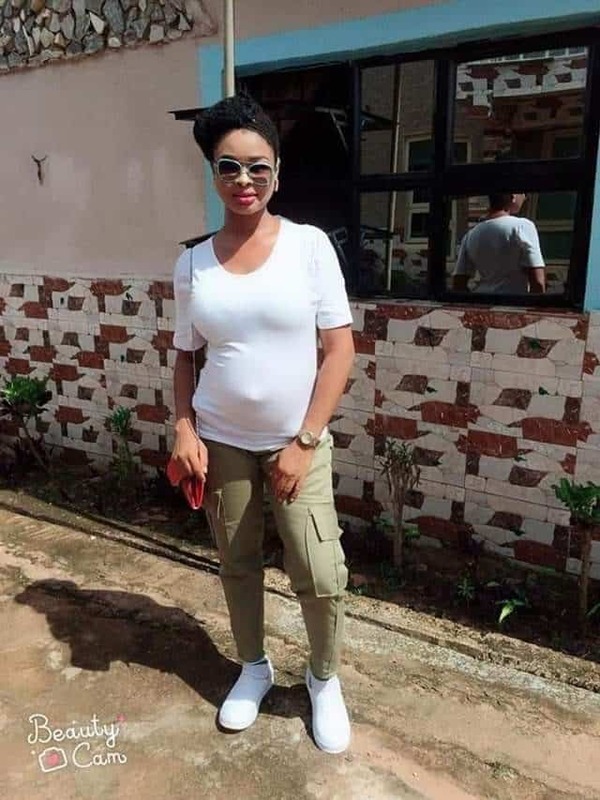 As per her, one Onweremadu Jane, the Leader of TTC ladies’ gathering on Facebook, a gathering that appeals to God for ladies searching for a kids, taunted a kindred part who at the time was recently hitched and with no kid. 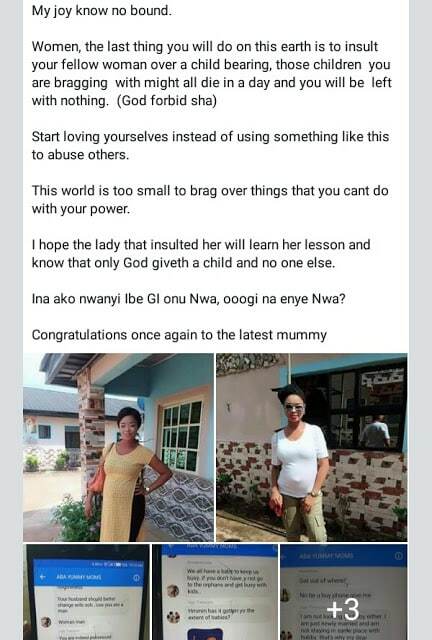 Despite the fact that Ijeoma didn’t share what prompted the contention, she took to Facebook to get out Jane for taunting her kindred lady since she didn’t have a youngster. 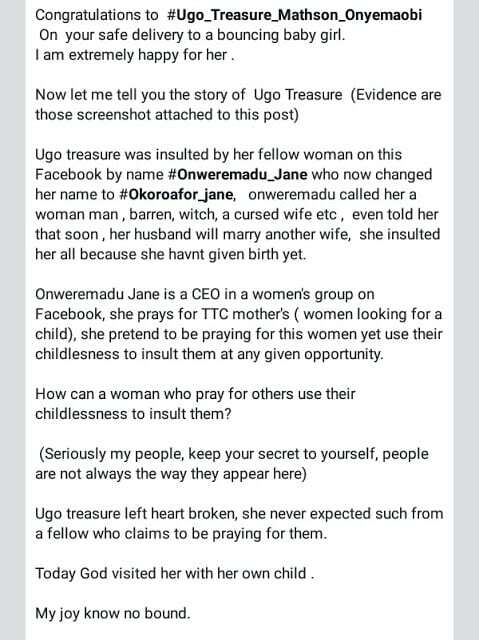 She additionally complimented the new mother just recognized as Ugo Treasure.